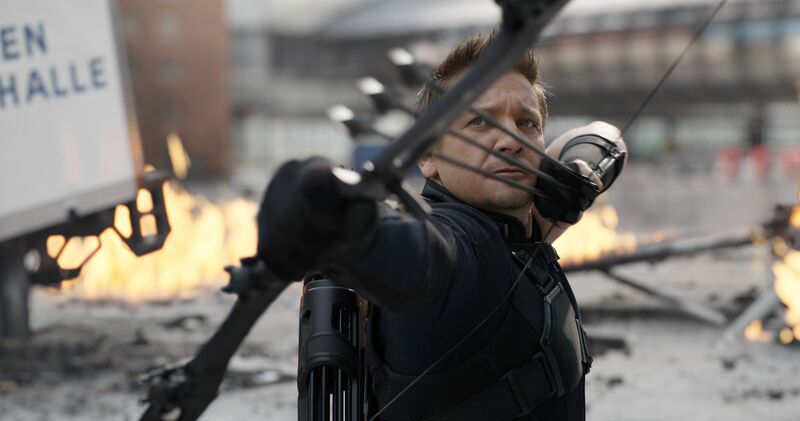 But Jeremy Renner will soon be getting his own starring Marvel vehicle, according to The Hollywood Reporter. Variety approached both Disney and Marvel, and representatives for Renner, but all parties declined to comment. The series would be the fourth to star a character from Marvel Studios' expansive big-screen roster, joining the previously announced "Loki", with will star Tom Hiddleston. The project is a limited series based on the Marvel character and is said to be an adventure series in which Clint Barton, aka Hawkeye, will pass the torch to Kate Bishop. He has since played the role in "Avengers", "Avengers: Age of Ultron", and "Captain America: Civil War". The show will apparently cover his passing on the mantle of Hawkeye to Kate Bishop, who comic book readers will recognize from the source material. Clint Barton, a.k.a. Hawkeye, may have survived the initial Snap, but now it looks like he'll be surviving the upcoming conclusion to the two-part feature film. The series are tipped to be six to eight episodes and have larger budgets compared to other television projects. Kate, in the comics, goes on to join the group the Young Avengers - which a rumored direction for future Avengers movies down the line (or New Avengers, or variations on the idea that help differentiate it from what we see in the franchise now). Renner has been a part of the MCU since he first appeared as Hawkeye in an uncredited cameo in "Thor".